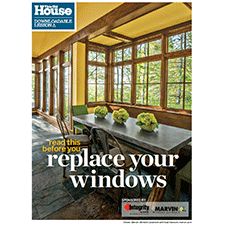 Get The “This Old House Replacement Guide”! Discover this helpful brochure, explaining the many choices, options and materials available. This 9-page guide will get you on your way, and please contact Authentic Window Design for further information. Complete the form above for immediate access!